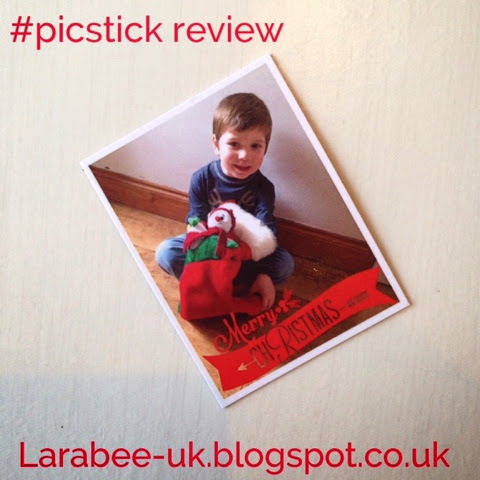 We were lucky enough to be sent a voucher to order some free Picstick recently, Pickstick turn your uploaded photos into high quality magnets and at £9.50 for 9 they are a real bargain! With christmas on the way, I thought I'd order a sheet of the same photo to use as a little gift for T's grandparents and Aunties & Uncles. 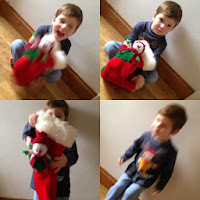 We set to work on a Christmas photo shoot, T loved dressing up in seasonal PJ's! For next year I must remember to leave the Santa hat handy for around this time as I didn't want to go into the roof to get it, we used a stocking that used to belong to K or H and some reindeer PJ's (which were too big last year!) as props. I took many photo's mostly out-takes like these! 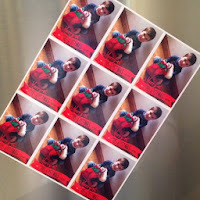 I added a Happy Christmas banner using Rhonna designs app and loaded my photo to picsticks, I did have to select my picture 9 times, it would have been nice if somewhere I could have said use the same picture for all photos, but I guess I was doing something out of the norm and it really didn't take long. 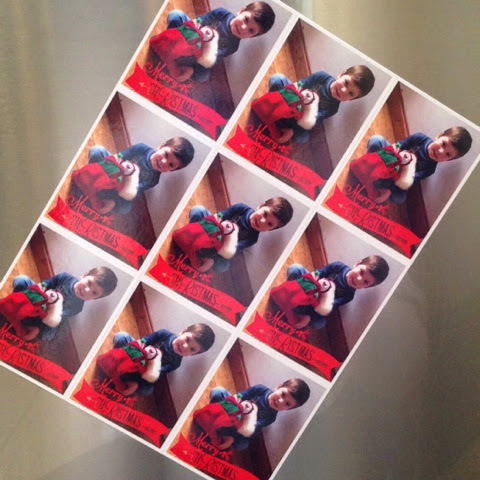 Within days I was sent the sheet of magnets. This photo really doesn't do them justice, it's the only magnetic surface we have and I think it gives off too much reflection, but I can assure you, they are great quality and I'm thrilled as to how they've turned out. I'll be back soon to show how I'm going to present these as a small christmas gift. Although we received a free sample of the product for this review, we have received no financial compensation, all opinions are our own.